Conexus CounsellingA Thoughtful Look at LifeMen's pain and shame“Courage. Scared. Grace, too” On Gord Downie, vulnerability and men. “Courage. Scared. Grace, too” On Gord Downie, vulnerability and men. Like millions of Canadians, I can’t stop thinking about the Tragically Hip’s incredible performance on Saturday night. It wasn’t just Gord Downie’s sparkly tracksuits and feathered hats, his uniquely quirky dance moves, or the dozens of poetic songs he and his band so perfectly performed. For me, the most profound moment was during his performance of “Grace, Too,” when, on stage in front of thousands and on TV in front of millions, Gord Downie wept. You can’t help but imagine he must have been experiencing a cluster of emotions. Sadness, disbelief, love, appreciation, fear, maybe even anger. 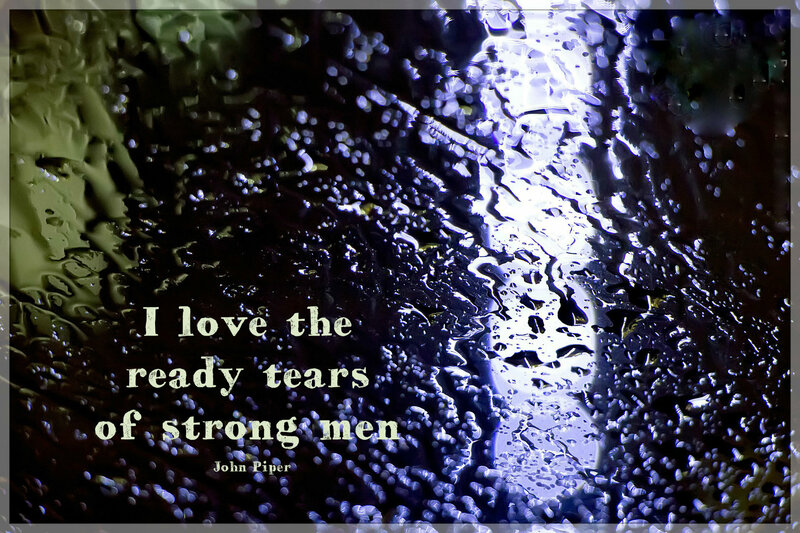 But, amazingly, when the tears came, he didn’t fight them. He didn’t try to tuck down what he was feeling. He didn’t even turn away from the audience or the cameras. Instead Gord wrapped his arms around himself. He screamed his pain into his microphone. He stopped and let the sadness sweep over him. His decision to publically share the news of his terminal brain cancer instead of keeping it private. His decision to tour Canada (possibly) one last time to share his love of music, poetry and performance with millions of his adoring fans. And giving the performance of his lifetime, dancing around the stage with zest and passion and almost, almost, making us forget that he was battling cancer at all. The side we lean on when we need to dig deep and find a bit more something to get through our day, our week, our month. The brave face we have to put on that almost pretends like everything is okay, even when it’s so not okay. The part that I see many people, but particularly men, lean on precisely because it’s a hard and strong kind of bravery. And, what I would argue is the most courageous side. The side of bravery that is brave enough to tolerate the sadness, the hurt, the anger and the fear. The side that whispers: I am strong enough to feel these feelings. The side that says: I’m not thinking about what men should or shouldn’t do when it comes to showing emotions. The side that doesn’t care what people think or what they might say. The part that just is. Bare, exposed, vulnerable, raw and real. And what did we do when Gord shed those tears? We felt a sliver of the pain he must have been feeling. Did anyone leave the arena? Did anyone turn off their TVs? We admired his courage to be up on stage performing and letting us share in a bit of his pain with him. And what happened after he wept? He came back to sing a third encore. 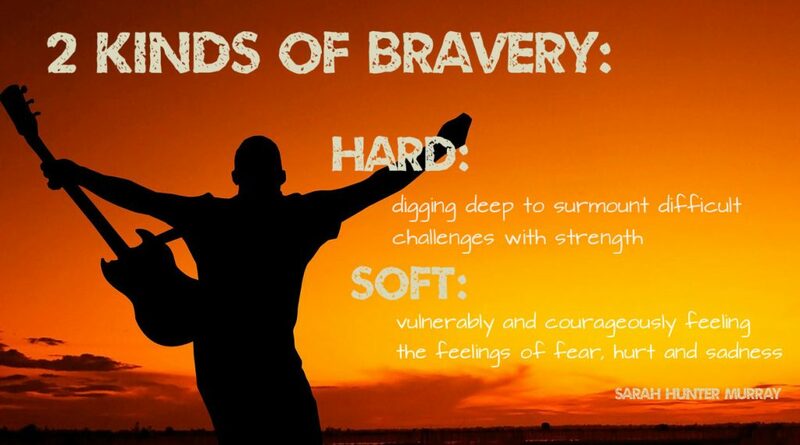 Ultimately true courage and bravery requires a combination of the strong and the soft. We need to let ourselves feel the hard stuff. We need to share our feelings with someone safe who can sit with us and support us through it. Because being strong enough to feel those feelings allows us the space to keep going. To move through the pain and keep on living. Real men most certainly do. Thanks for showing us that, Gordie.